Opinioni di stile. 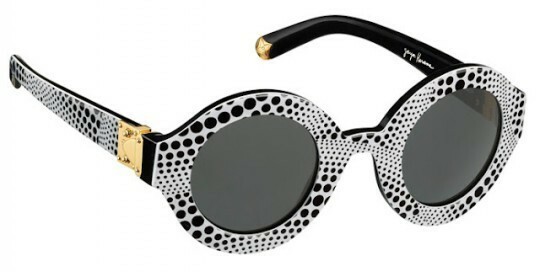 : Louis Vuitton Kusama Collection. 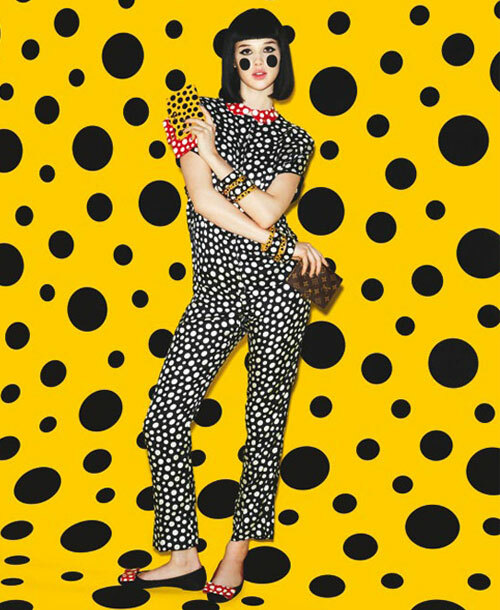 Did you see the Kusama collection by Louis Vuitton!? It is amazing i think! I really love it! I think it is very different from previous collection of Louis Vuitton. The central theme of the creations is the "Pois" with a lot of color. 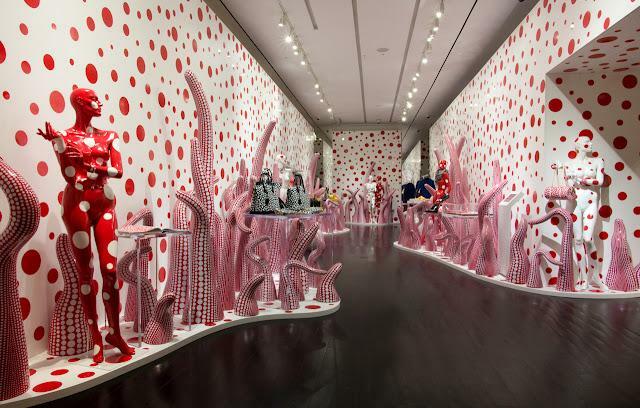 Kusama is really able to create this beautiful things. And you? What do you think? Let me know. 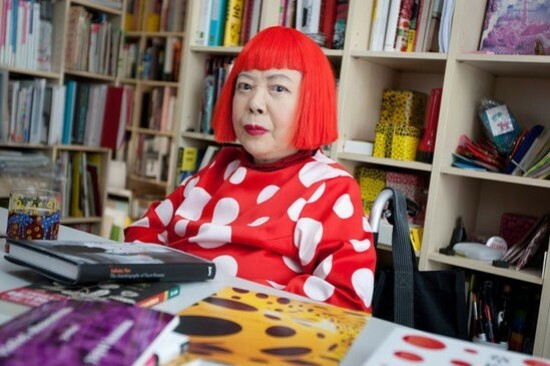 Avete visto la nuova collezione Kusama per Louis Vuitton? Io credo sia spettacolare. L'adoro! Credo che sia davvero differente da tutte le collezioni precedenti di Louis Vuitton. È stavagante, ricca di colori, vengono abbandonate le tonalità un po scure per dare un tocco di vivacita' a questo marchio. L'ultilizzo di tutti questi colori e dei Pois la rende davvero inimitabile..
Davvero voi cosa ne pensate? My Favourite sunglasses right now. I'll but it very soon! Only her could mix the dots in this gorgeous way. Heres my blog www.rooftopfashion.blogspot.com please follow if you like what you see. Love ur blog! Who is that model with the short black hair? Do you know her name?. She's very pretty, love these pics. I Actually don't know who is. I will try to know her name. who knew all those spots would look so good! I am dying over polka dots this fall. Love the collection. I love this! It probably comes out from being obsessed with polka dots, but these bags are so cute! Followed! So unique I love it! I've never seen this collection by LV. Ciao cara! Davvero una bella collezione: giovane e divertente. Una vera ventata di freschezza! Ho appena letto il tuo messaggio su IFB e mi farebbe davvero piacere seguirci a vicenda. Io ti seguo già. Se ti va puoi farlo anche tu visitando www.ladyfairy-scloset.blogspot.com. Spero tanto che farai un salto, nel frattempo un abbraccio! I read about this collection in Dutch Vogue I think, but I didn't actually see these pictures. 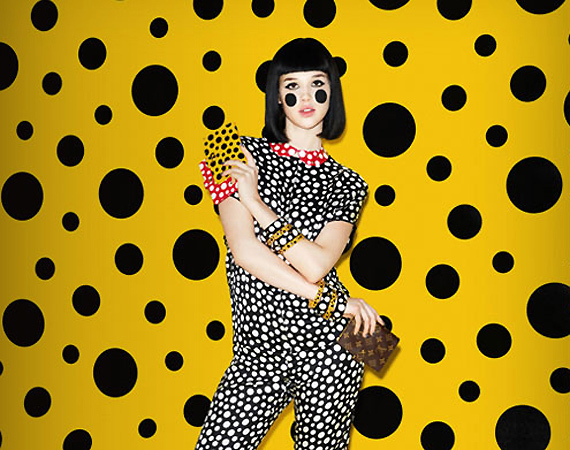 Kusama's trademark polka dots are well represented in these beautiful pieces. Very nice collection! amazing, and so is your blog...definitely following! 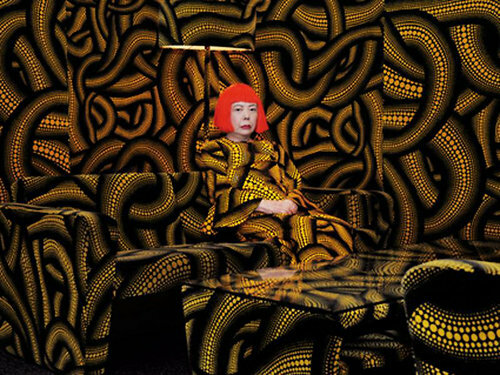 Yayoi Kusama is one of my most favorite artists. I even went to her exhibition in Madrid last year and wrote a paper on her work. I love the game of infinite space through dots and reflections that she accomplishes. Now that it is on high fashion clothes, I am so excited! P.s. I am currently learning Italian so I am glad you contacted me. Perhaps I can practice through your blog. That is sooo unique. The works in the photos can be translated for the everyday buyer and for the buyer that wants something unique. And, when she sat down on the couch and became the background caught my eye twice. Nice blog! I just finished reading her autobiography "infinity net" I would highly recommend it.